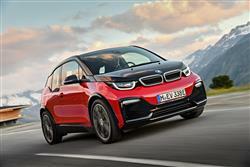 BMW's compact electric vehicle, the i3, now also comes in sportier i3s guise. Jonathan Crouch looks at the revised 120Ah version. 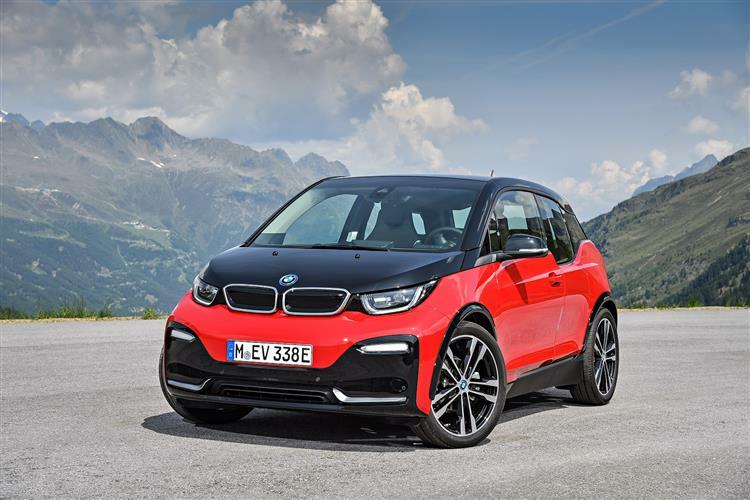 If you're not yet quite convinced by the electric vehicle revolution, then maybe BMW's i3s could be the car to do it, especially in this improved form complete with a 120Ah battery offering a longer driving range. This is a sportier, more focused version of a model the Munich brand says is all the things you'd expect a compact EV to be - refined, eco-conscious and super-affordable to run. It should certainly surprise you in terms of sheer driving enjoyment and as before, there's the option of adding in a Range Extender petrol generator to alleviate driving range anxiety. It's all part of BMW's rather different approach to EV motoring. Electric cars may still be of minority interest to buyers, but the car makers know that EVs couldn't be more significant. Hence the vast improvements made to the operating range of models in this segment in the last couple of years. 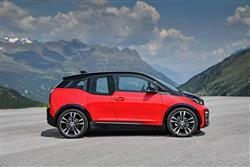 Amongst compact contenders in this sector though, there's still only one premium choice - and this is it: this BMW i3. In early 2018, the brand brought us the significantly revised model we're going to test here, then in late 2018, the company further improved it by adding in a much gutsier 120Ah battery. 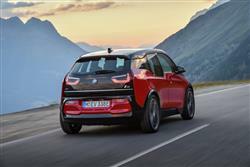 These days, i3 buyers select between the standard version and the sportier i3s variant we're going to look at here, which gets more power and sharper chassis dynamics. Whatever version you prefer, the i3 remains a car of contradictions. An individual choice, yet with mass appeal. And an eco warrior that a petrol head might also enjoy. Ultimately though, it's a BMW born to be electric - which ought to be a very good thing indeed. Let's find out. We tried the top i3 derivative, the i3s, which has 184hp, 14hp more than the standard version. The handling of the 's' model has been uprated too, with a 40mm wider track, a 10mm lower ride height, larger 20-inch wheels and specially tuned springs, dampers and anti-roll bars. All of that makes this BMW feel even more planted and agile, embellishing this model's reputation as the first EV able to offer genuine driving enjoyment. 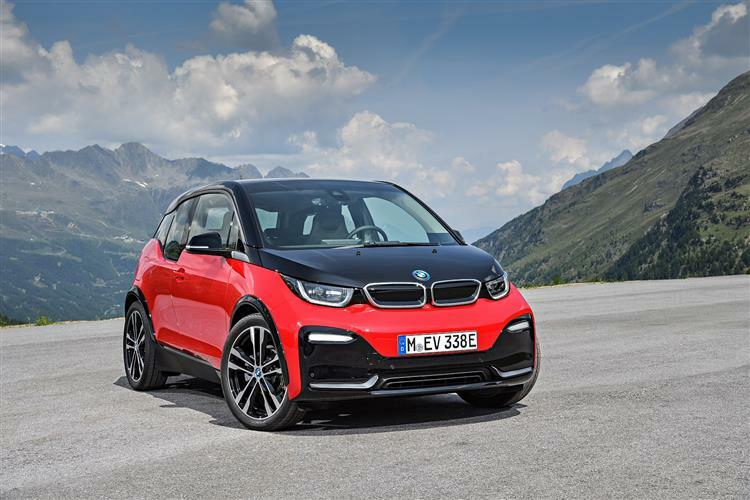 Predictably also though, the i3s modifications further stiffen up ride quality that was already quite firm in the standard i3, as the engineers sought to reduce the natural tendency of the tall, narrow body to roll around through the corners. There's no kind of adaptive damping system available to minimise the downside here, so even if you're set on an i3s, we'd advise also trying the ordinary variant before you finally decide. Either way, you'll need to manage your expectations when it comes to the top speed, which is pegged at 99mph in the i3s. And you only get that if you're using the standard 'Drive Performance Control' driving modes system in its normal 'Comfort' or more efficient 'ECO PRO' modes. Switch to the third 'ECO PRO+' setting and your velocity will be restricted to just 50mph. The i3s also has an extra 'Sport' mode for sharper throttle response and tighter steering characteristics. 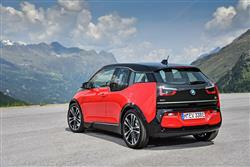 This i3 is now the only compact electric vehicle on the market with really futuristic styling. This sportier i3s version is distinguished by larger 20-inch wheels, a size larger than normal. A controversial touch on all i3 models is the sudden dip in the pronounced so-called 'streamflow' shoulder line just rearwards of the front doors. It's apparently been incorporated so as to create a larger side window surface for the rear passenger compartment, but at first glance, it looks like a bit of an after-thought. You'll be glad that it's there though, if you have to take a seat in the back because otherwise, that whole rear seat area would be a bit of a black hole. And pretty impossible to get to were it not for the opposing 'coach-style' doors that open to reveal the lack of the kind of central B-pillar that almost every other car in the world has to have. Only two people can be accommodated at the back, even though three would probably fit at a squash thanks to the lack of the usual centre transmission tunnel. There's a totally flat floor up-front too and the roomy feeling you get is enhanced by the low window line and the tall airy cabin. There's no conventional instrument cluster - just two high-definition LCD screens, one behind the steering wheel and the other a large central monitor now standardised at 10.25-inches in size, sited at the top of the centre console and big enough for rear seat folk to see. 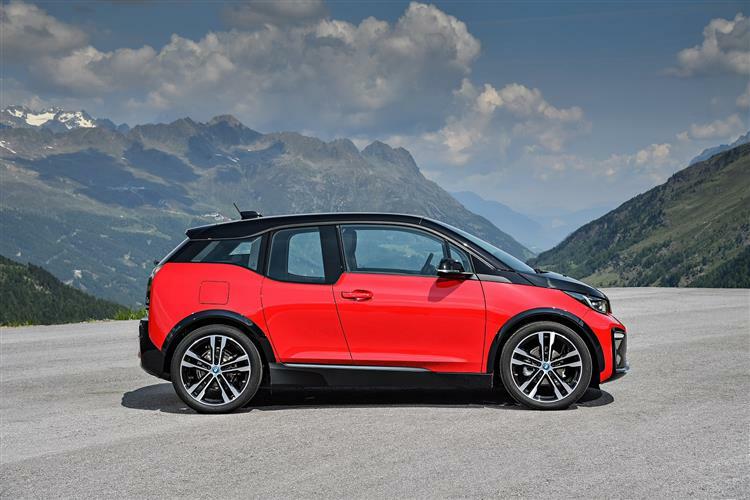 The sportier i3s variant costs nearly £37,000 - or around £40,000 with the optional Range Extender engine fitted, but a £3,500 governemnt grant is available to reduce those figures. That's if you're buying outright of course. Most likely i3 drivers won't be, leasing being the usual means of acquisition for all versions of this this BMW. The Range Extender version is the one that we tried, the car that one motoring journalist dubbed 'the coward's choice'. Well, paint me yellow if you like, but as someone who routinely pulls his mobile out to find the battery pancaked, I'm not sure I'd be altogether different charging a car. 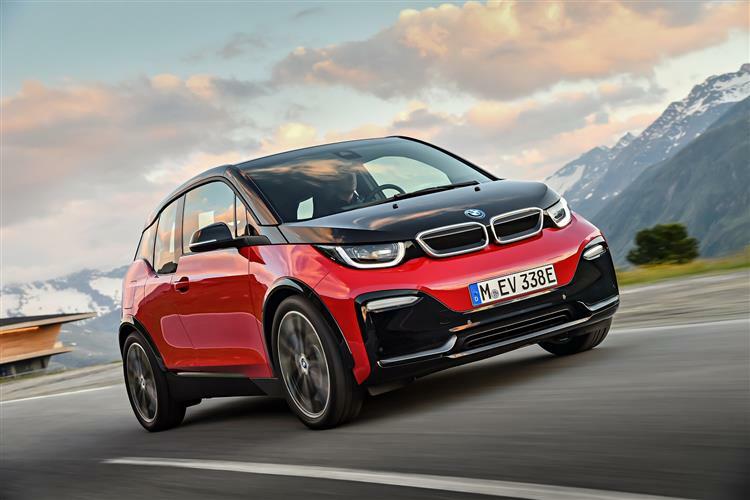 It's certainly true that if you really get your act together and use the i3 as efficiently as possible, ownership of this version will see you paying for and lugging around a hunk of metalwork in the back that'll rarely, if ever, be used. Optional equipment now also includes telephony with wireless charging, which allows compatible smartphones to be recharged without use of a cable. The wireless LAN hotspot provides a fast online connection for up to ten devices inside the vehicle. As ever with an i3, whatever choice you make, you'll have the option of ordering your car in either full-Electric spec or in the 'Range Extender' - or 'REx' - form that around 75% of customers choose. The preference here is really down to peace of mind, the 'REx' package adding in a Korean-built two-cylinder petrol generator which can cut in to increase your driving range by around 80 miles should you run out of battery charge. You might think that to be an issue, though these days, there aren't too many rivals that can significantly better the distance possible between charges of this car's 120Ah/42.2kWh battery pack - expect around 177 miles in (WLTP-rated) real world terms. Charging can be relatively quick, taking less than four hours using the 7kW Type 2 Wallbox that you'll need to get fitted in your garage. Find a high-amperage DC charger at a garage or service station and up to 80% of battery charge can be replenished in just 40 minutes. At the opposite end of the spectrum, a normal household plug point will need 11 hours to completely recharge the car. There's lots that we really like about the i3. It has a premium feel missing from every other compact EV you can currently buy, something we think that would translate into a genuinely special ownership proposition. And, despite the fact that it's been around since 2013, it's still the most distinctive and interestingly-styled car in the class. Plus it's also the most innovative under the skin. Better still, this BMW remains - by some distance - the most rewarding electric car you could choose to drive, especially in this uprated i3s guise. In short, if so far, you've been a bit sceptical about electric vehicles, then you might enjoy trying this one. Even if it doesn't change your viewpoint, you're going to have a heck of a lot of fun proving yourself right. Compared to this i3, even a talented vehicle like BMW's own 1 Series seems a bit grey and two-dimensional. Like it or not, this is the future for small cars. This BMW is a model the EV segment needs. Try one and, perhaps to your surprise, you might find that you do too.